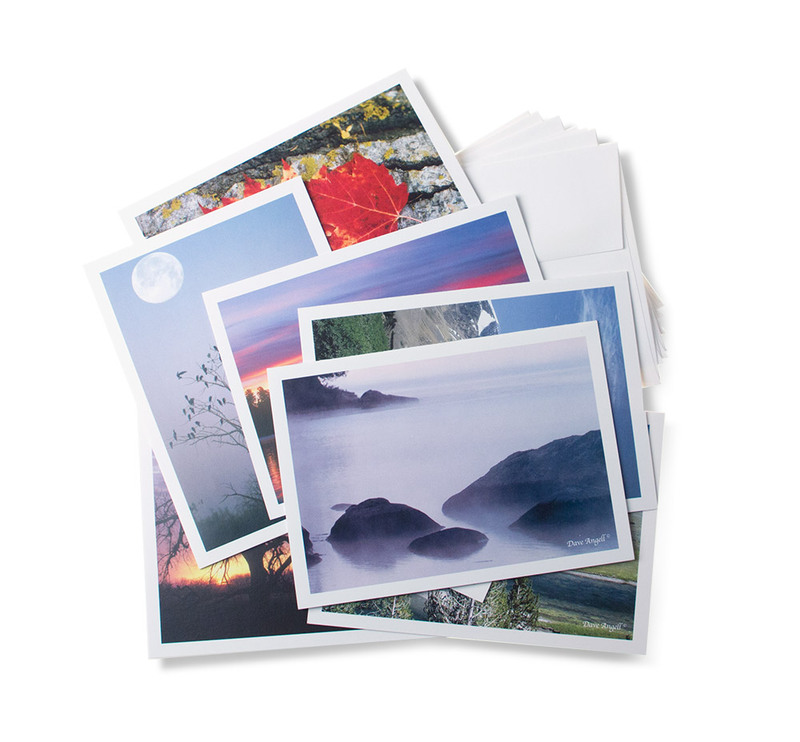 The Scenics group has 8 different scenic images. There is an image of an Autumn Trail, River Bottom Sunrise, Cormorant Roost, Maple Splendor, Jasper Morning, Northwood’s Sunset, Morning Fog, and Roaming Bison. The cards are a folded 4 x 6 blank inside card.